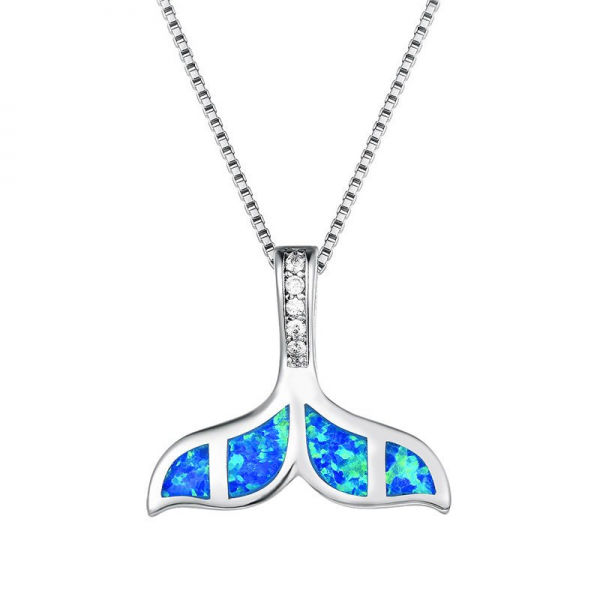 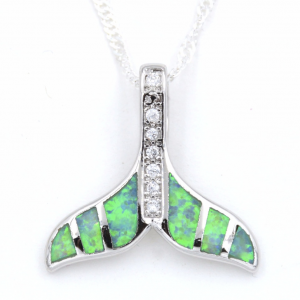 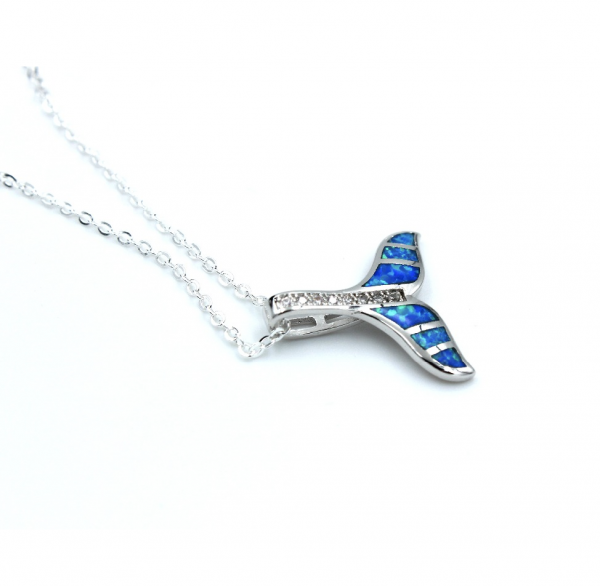 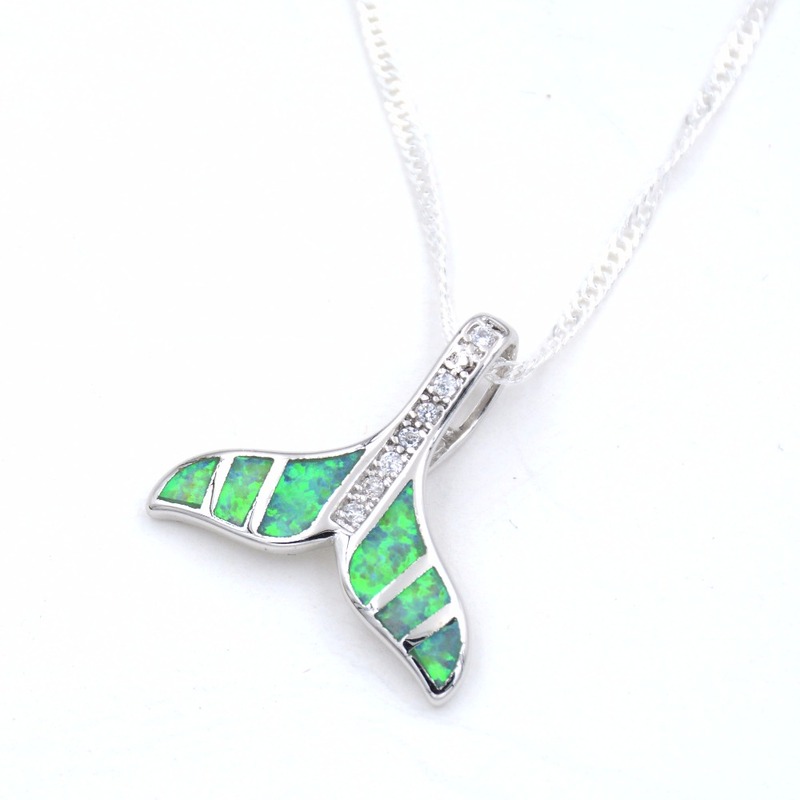 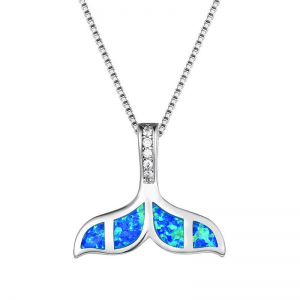 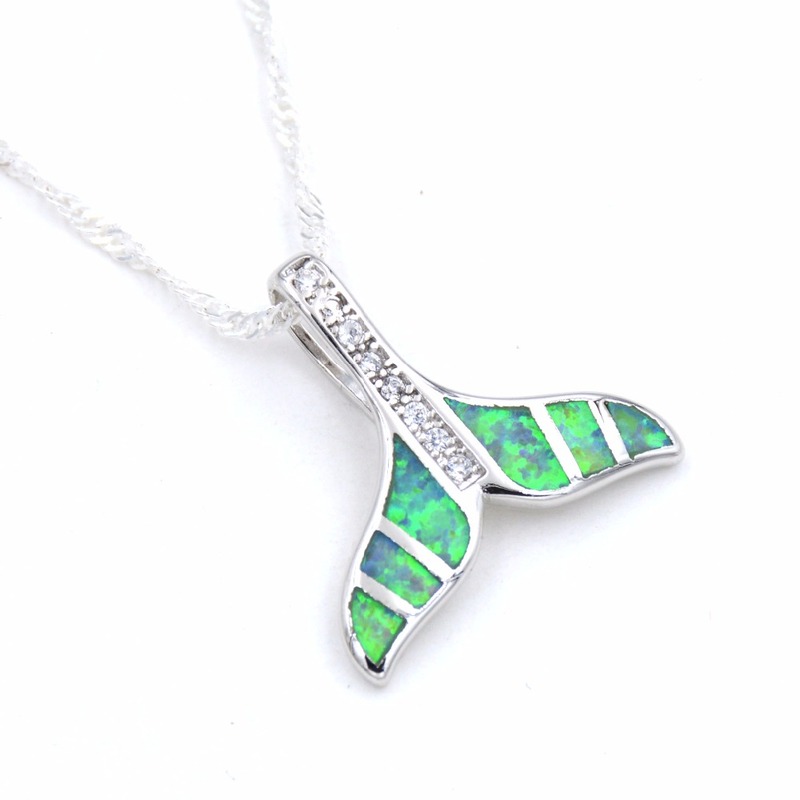 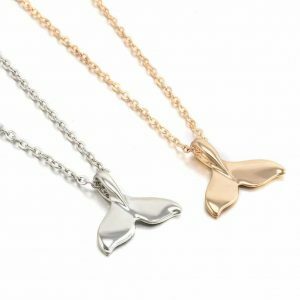 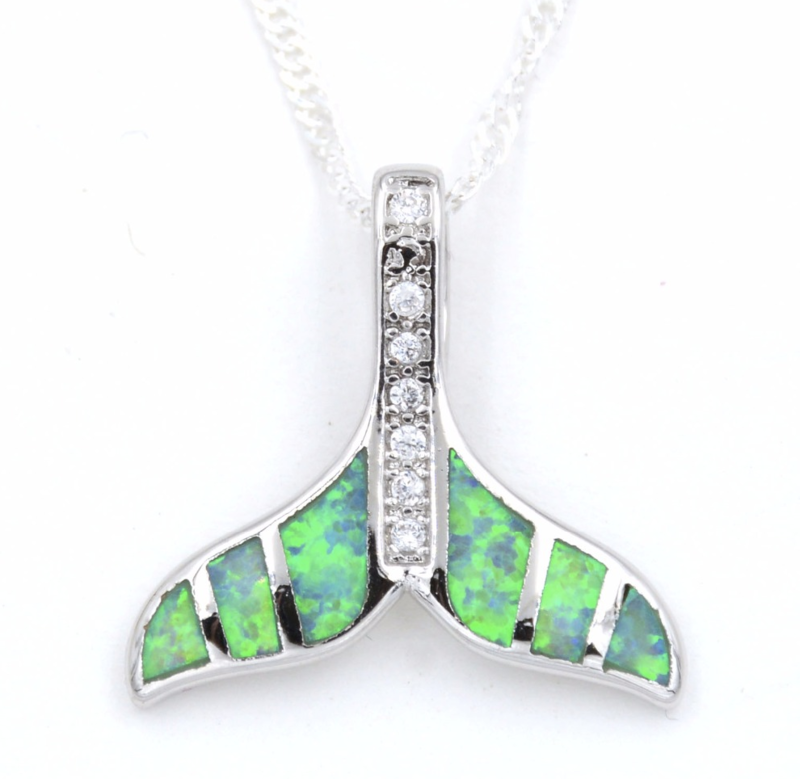 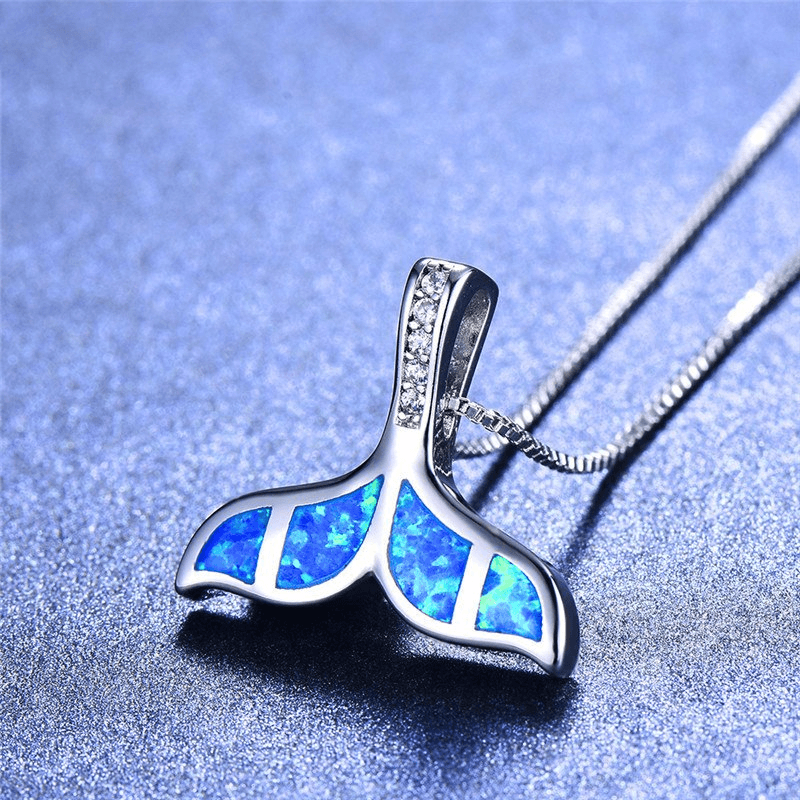 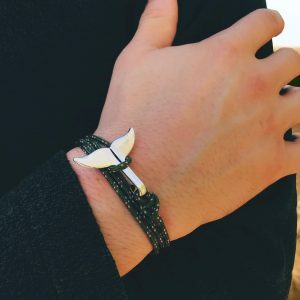 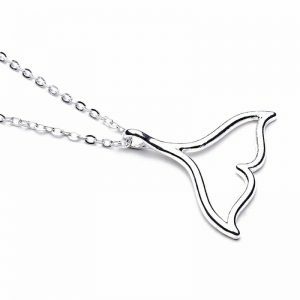 This adorable necklace features a whale tail with a blue/green opal gemstone. 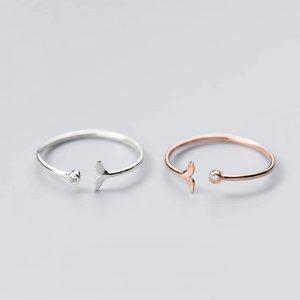 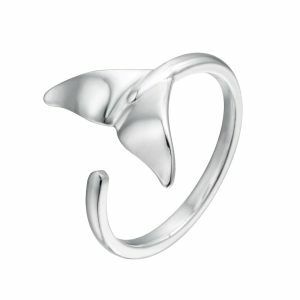 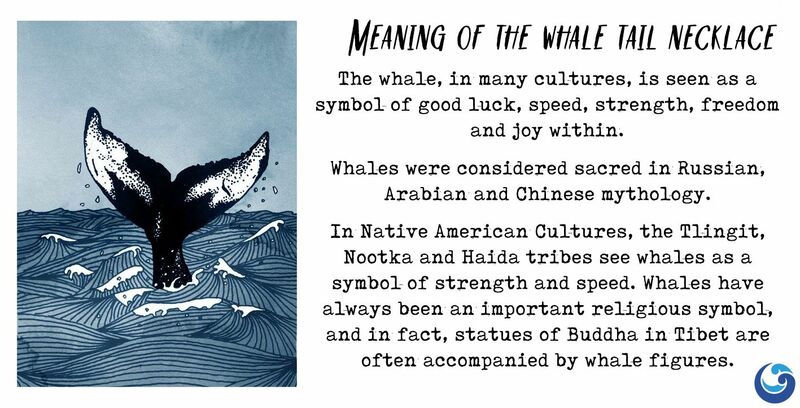 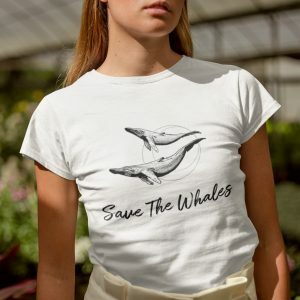 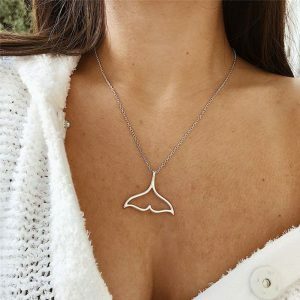 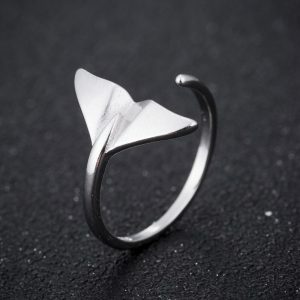 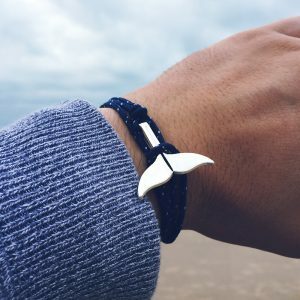 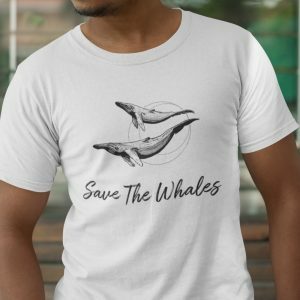 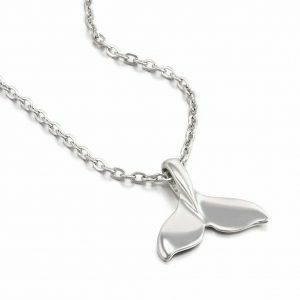 Carry it everywhere you go, while at the same time you display your support and love for this peaceful animal. 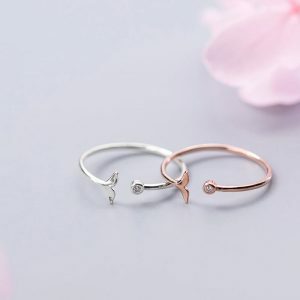 Soooo pretty! I love the blue color!